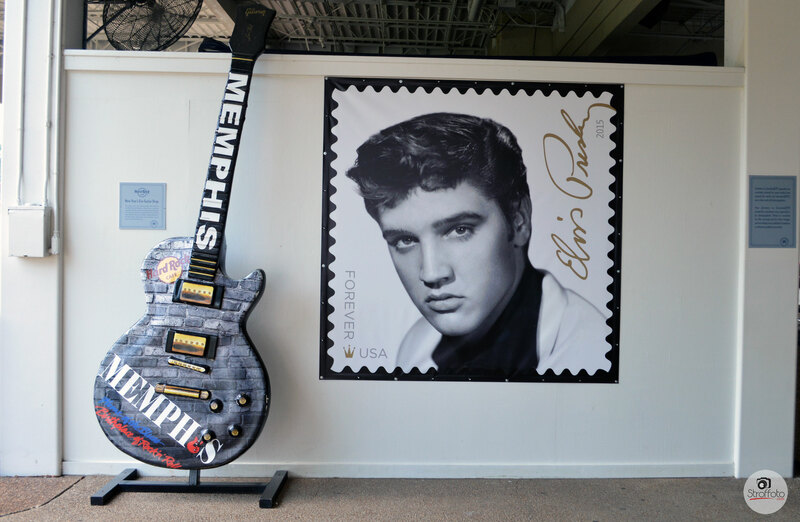 When most people think of Memphis, usually the first thing that comes to mind is a young man from Tupelo, Mississippi who is arguably the most famous person from the 20th century. However, there is much more to this eclectic music mecca than the King of Rock n Roll. 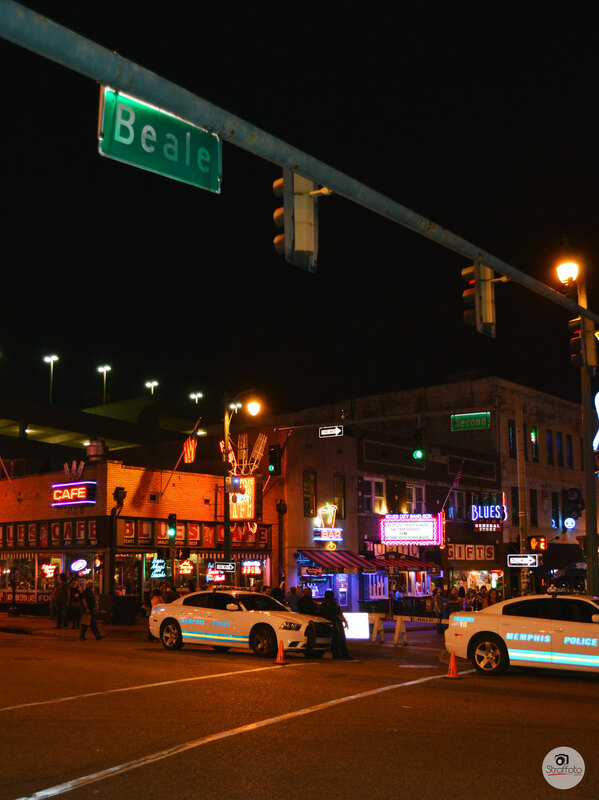 Located in the heart of Downtown Memphis, Beale Street is to blues music what Bourbon Street is to jazz. A few years ago, Beale ousted several other famous streets to be voted “America’s Most Iconic Street”. Like Bourbon, the music never stops here and there is something for everyone. We planned our visit at night to enjoy the full experience of one of the most vibrant places on our mobile musical history tour. Neon signs light the way through three blocks of nightclubs, restaurants, and a colorful amalgam of visitors. Most every venue on Beale offers live blues, rock, R&B or jazz so make sure your walking shoes are ready for some sass and brass! There are also several music museums to explore, such as the Memphis Rock ‘n’ Soul Museum and Stax Museum of American Soul Music. If you have time to visit only one, we highly recommend Sun Studio. We waited almost two hours for the tour but it was totally worth it to learn about the birthplace of Rock n Roll and how visionary Sam Phillips broke cultural barriers to cultivate some of the most exciting talent in the history of American music. Elvis recorded his first song here and along with Johnny Cash, Jerry Lee Lewis, Howlin’ Wolf and several others, made Sun Studio legendary. Sun offers a free shuttle that runs daily and stops at a few other famous Memphis attractions, one of which happens to be the most visited private home in America! Your journey through the heart of the Americana Music Triangle would not be complete without visiting the estate and burial place of Elvis Presley. Graceland was at the top of our list and it was an experience we won’t soon forget. A surreal endeavor into the private life of a beloved American icon, Graceland caters to both the die-hard Elvis devotee and casual fan. The property had been carefully frozen in time and even with the constant parade of buses, it’s not hard to imagine the King himself rounding a corner in one of his custom made Cadillacs, several of which are on display. 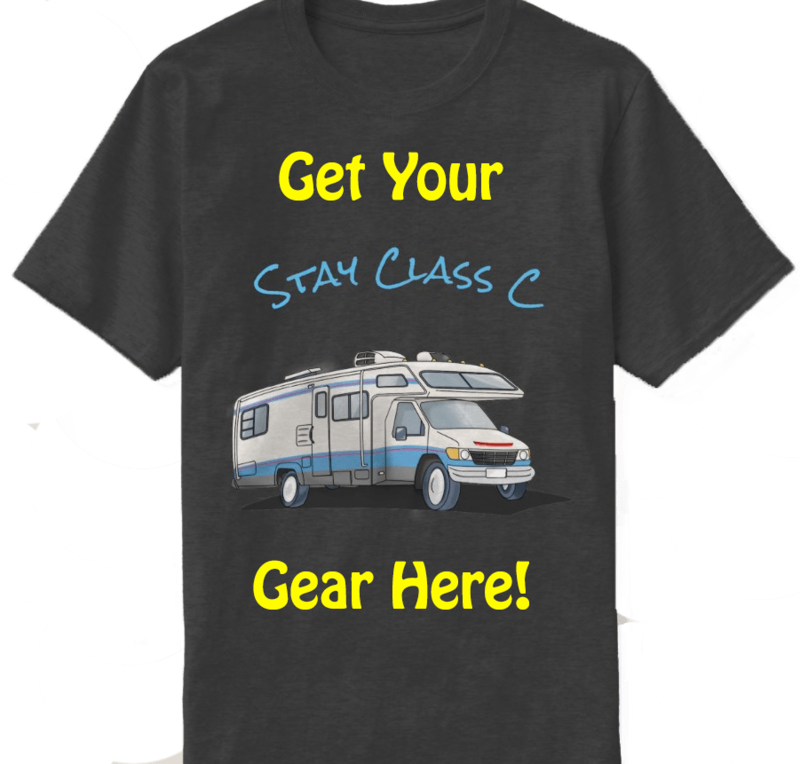 There is a tour package for every budget and you can do all of your souvenir shopping without leaving the property. Check out our original posts on Beale Street and Graceland for more about our time in Memphis, Tennessee and come back next week for the final installation in our Americana Music Triangle series!